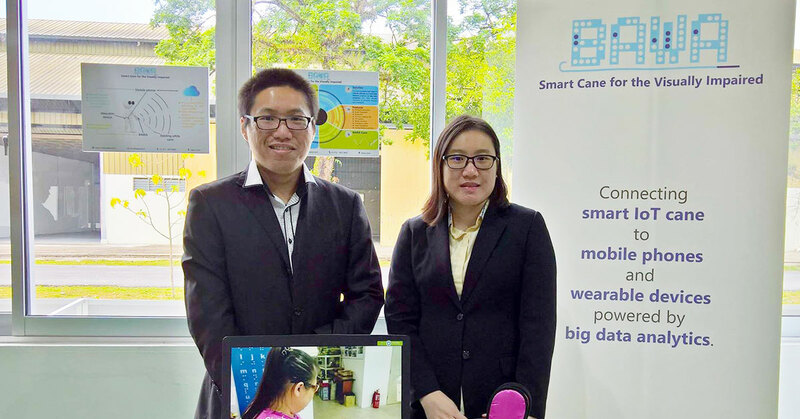 BAWA Cane is a white cane (walking stick for the visually impaired) that is equipped with internet connectivity capabilities and other smart technology that helps users go about their daily activities with ease. Standout features include highly accurate obstacle detection including position, distance, and type of obstacle. It also connects to smartphones and can track movement and send out distress signals to loved ones should something untoward happen to the user. Currently in the process of being readied for mass production, the BAWA Cane can be pre-ordered at a price of US$699. It was troubling for siblings Daniel and Stella Vong to see their beloved grandmother go through life without being able to see. After losing her sight to cataracts and glaucoma, it was hard for their grandmother to adapt to the lack of vision, constantly bumping into objects and placing herself at risk of injury. Dissatisfied with the situation and hoping to help others with the same predicament go through life with a bit more ease, the siblings set out to make use of their expertise and create a device that could greatly help visually impaired individuals with their everyday movement. Armed with expert knowledge in mechatronics, computer science, as well as business, the brother-sister team decided to combine their smarts and work on their new project all while they were still in tertiary education. “During our days as students, we started putting together off-the-shelf components to build a proof of concept,” Daniel said. 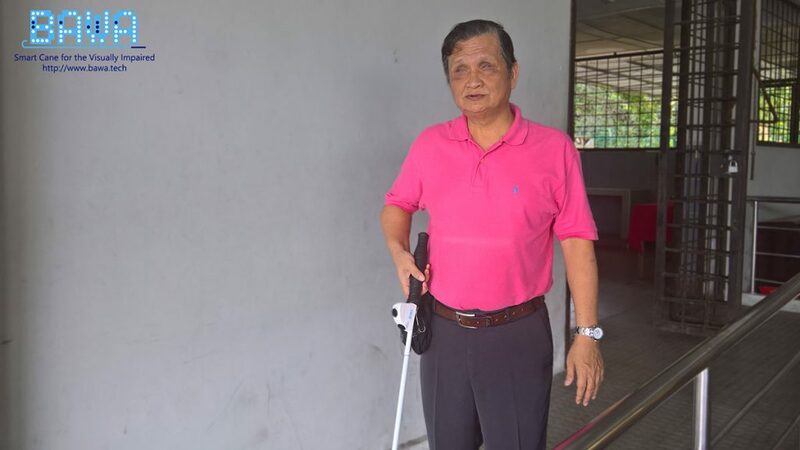 In the end, the siblings settled on a design for a type of white cane (the term used to refer to the cane used by the visually impaired) that would be armed with internet connectivity features as well as advanced obstacle detection capabilities. They called this device the BAWA Cane, and in 2016, their company Wangi Lai PLT was incorporated to facilitate the design and production of their product. Housing advanced IoT (Internet of Things) capabilities within a slim form factor, BAWA Cane—projected to retail at US$699 (approximately RM2739)—makes life easier for the visually impaired by substantially improving upon what a traditional white cane can do. The capability to correctly identify obstacle types, their distance, and their positioning—telling users whether or not they’re above knee level. Connecting to a proprietary smartphone app that enables voice navigation, distress signalling, and GPS tracking. Allowing the user to find their misplaced cane by hitting a button on their phones, which will trigger the cane’s beeping mechanism. The option to connect to wearable wrist devices that will provide haptic feedback as users near obstacles. According to Daniel, the BAWA Cane has plenty of other technological gadgetry hidden beneath, including connectivity with Microsoft’s Azure platform for efficiency and security and in-depth route analytics to help users find out in advance about obstructions in their path. 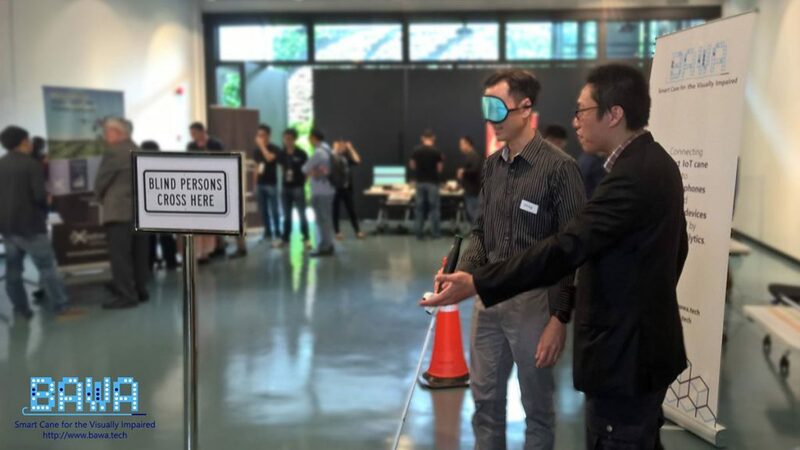 “Our ultimate goal is to develop a connected world that is friendly for the blind and visually impaired community, and to revolutionise the way they perceive and interact with their surrounding environments,” Daniel said. Very much a product of Malaysia’s maker movement, Daniel says that BAWA Cane went through a considerable amount of trial and error before the siblings were satisfied with their product. From determining the right dimensions and weight, selecting the correct components, all the way to solving issues caused by mechanical and software constraints, the siblings are thankful to have had the assistance of local maker movement players to depend on. Ultimately, the siblings believe that Malaysia’s maker movement has plenty going for it, and were pleased to note the collaborative and symbiotic nature of its players. “We’ve had a handful of maker advocates who took the initiative to raise awareness and provide support,” Daniel said. After beginning with a capital of RM100,000, Daniel and Stella are currently readying their product for mass production—with more than 500 pre-orders already place—and are taking each challenge as it comes. And despite dealing with the nitty gritty of the present, Daniel and Stella are both already thinking of kicking their involvement in helping the visually impaired up a notch. For more information about BAWA Cane, visit the official website or Facebook page.